Disclaimer: This is a sponsored post through Tryazon to throw a party using GEFU. All opinions are my guests, and my own! 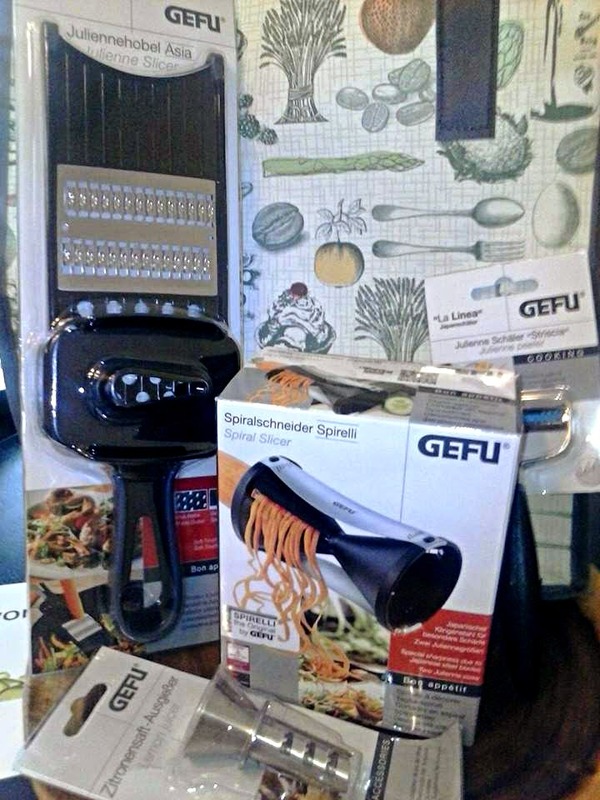 Recently I had the opportunity to invite a handful of friends to try out GEFU cooking utensils (www.GEFU.com.) 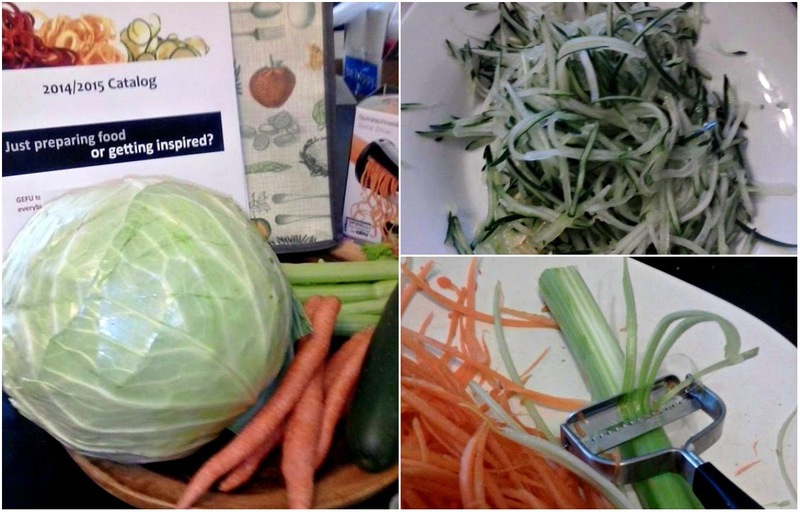 I loved the Julienne Peelers, Spiral Slicer and Lemon Juicer. 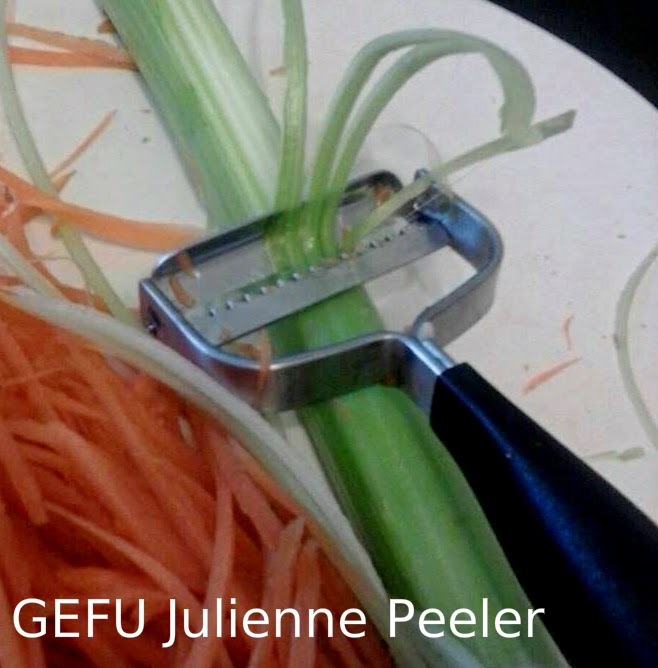 My absolute Favorite Julienne Peeler was the smaller handheld one. 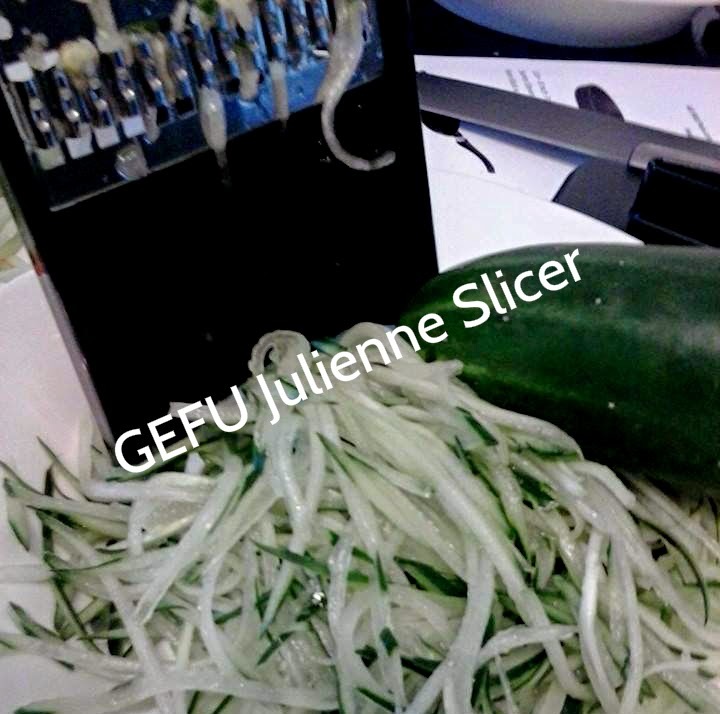 For the main course, I used the Gefu Julienne Peeler on Carrots, Celery, and made Rice Noodles. 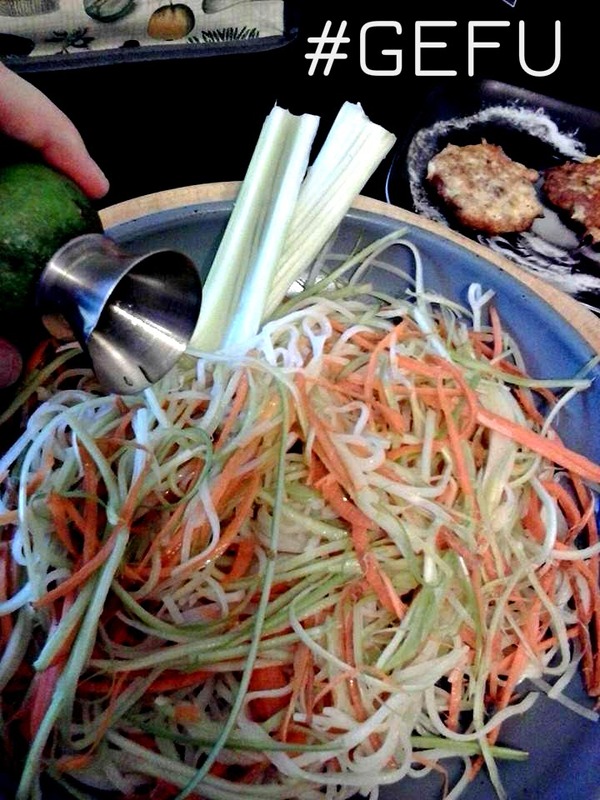 Also squeezed Lime over top with the Juicer. 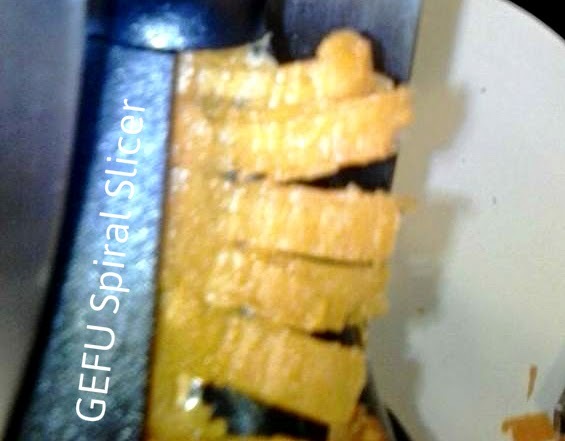 Everything was extremely easy to use. 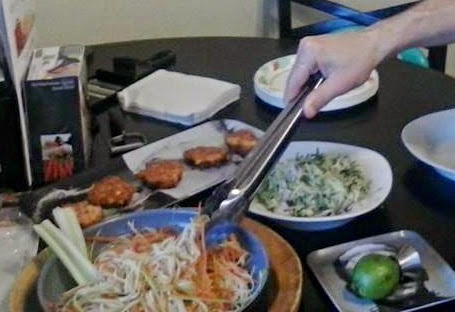 It was also fun for the guests to use the Juicer themselves on their plates. They had never seen anything like it before. 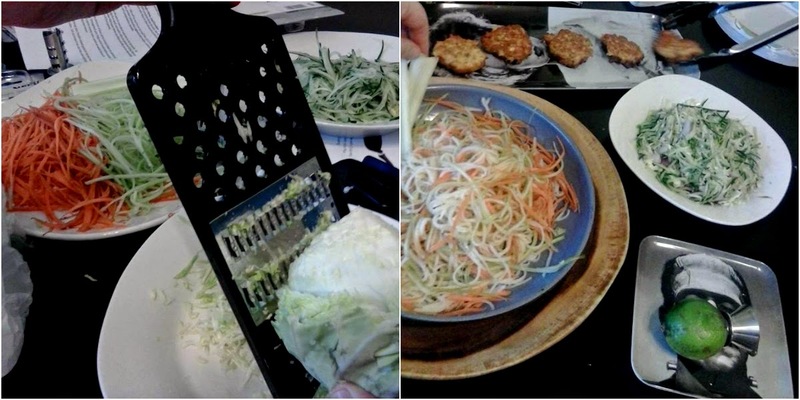 Also made Mini Salmon Patties in Cotton Seed Oil for the Guests. 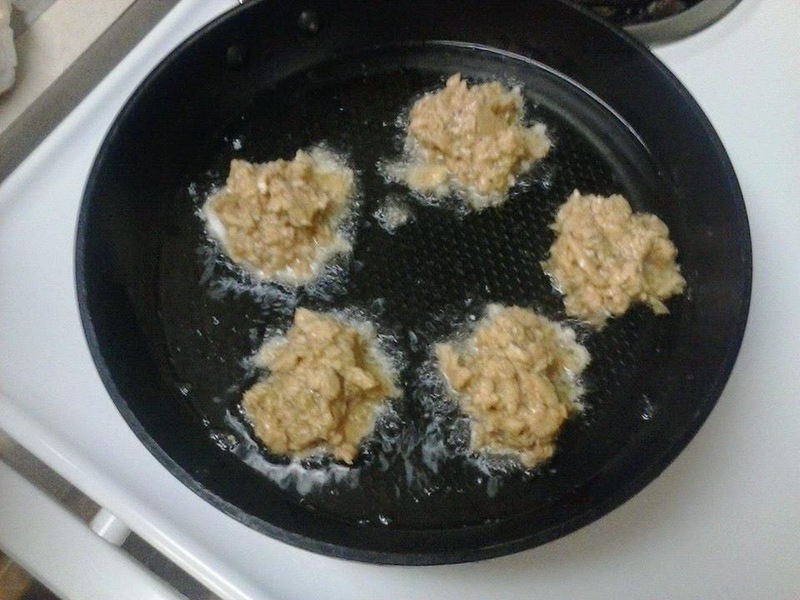 The Salmon Patties are just Pink Salmon, Egg, Salt, Pepper, and Srircha Sauce fried in the Cotton Seed Oil. Have fun with it! 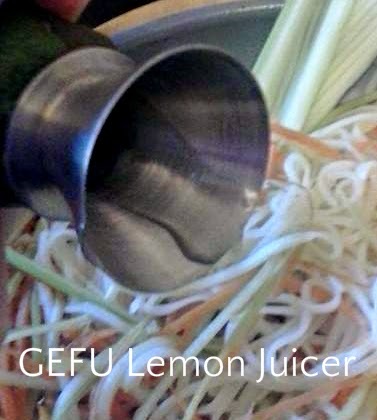 We all thought these GEFU utensils were amazingly fun, and easy to use. Thank you so much Tryazon, and GEFU for the Party Fun. 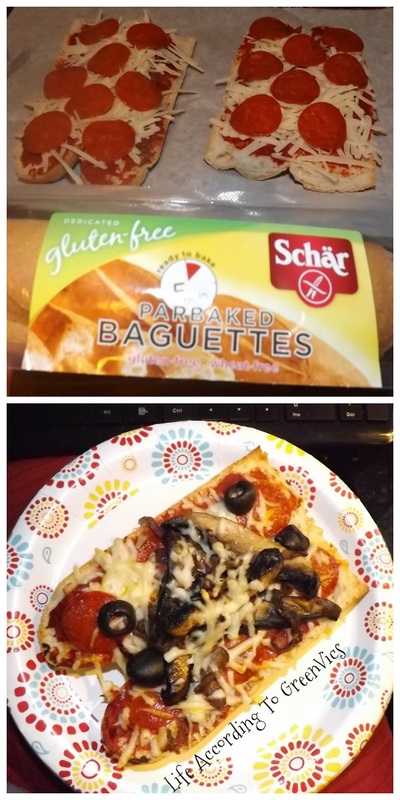 Wheat-Free Pizza Baguette is whats for dinner! So my husband has gone wheat free. To support his decision I have been playing around in the kitchen. I'd like to thank Schars for the $2.50 off coupon! With that I bought the Gluten, and Wheat Free bread to make this. I sauteed the onions, and mushrooms together first. Then it's as simple as cutting the baguette down the middle. I then put a thin layer of the tomato paste w/a little bit of italian herbs. Sprinkled the first layer of cheese on. Laid the Pepperoni's. Added more cheese. 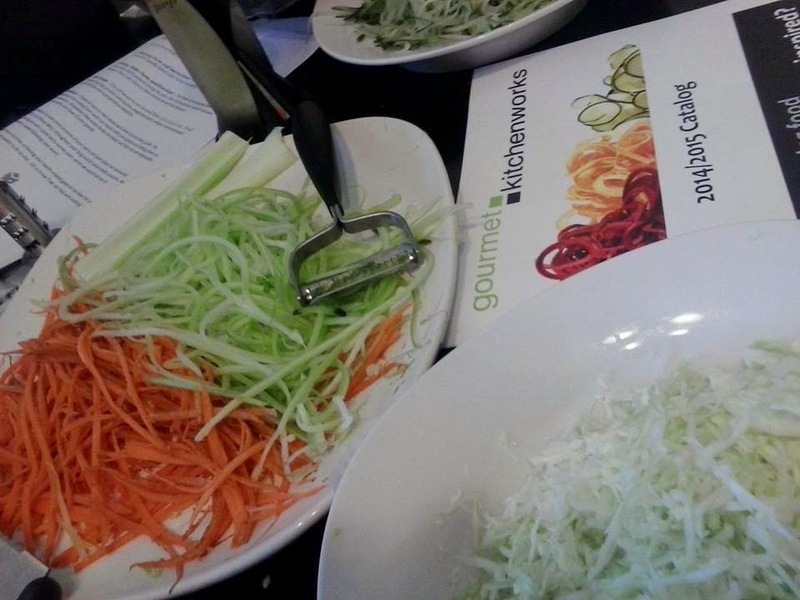 Then more toppings. Baked til the cheese was melted (It only takes a few minutes on 400) The bread itself just needs to be baked for 3-4 minutes, so keep that into consideration. I baked mine for about 5 minutes, and it was crispy on the outside, and still moist inside. This was a success! The hubby loved it.